Hello and thank you for visiting my blog and taking the time to see who I actually am. :) My name is Kosta Hristov and I currently live in London, England. I created this blog with the idea of sharing thoughts of my day-to-day professional life as a programmer. Over the past couple of years, I’ve been working on a variety of projects, each one utilizing different programming languages, platforms and technologies in general, from the mobile, desktop and web areas of software development. I will try to generalize as much of the content that I write, looking at the bigger picture rather than at unnecessary details, when possible. Hope you enjoy your time here ! 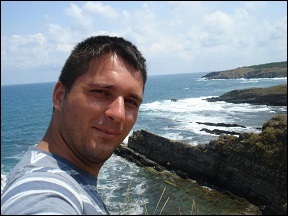 If you want to know more about me, feel free to contact me on LinkedIn or via kosta.hristov@developingthefuture.net. If you want to redistribute any of the information in the way you see it structured here (and you are not a commercial organization), feel free to do so. Just send me an email beforehand.